"not to use these powers to oppress any person, but to defend the integrity of the borders of Poland, regain the independence of the nation, and to strengthen universal liberties." After an early success at Racławice on 4 April 1794, the Russians re-gathered and managed to push Kościuszko and his forces into Warsaw. After defending Warsaw for several months the Russians broke through and captured Kościuszko on 10 October. He was subsequently imprisoned and the Russians took control of the city, massacring over 20,000 Warsaw citizens in the process. This began what was known as the Third Partition of Poland. And the country of Poland ceased to exist for the next 123 years. Several geographic features bear his name, including Mount Kościuszko, the tallest mountain in Australia. There is also a Kościuszko Island in Alaska. See HERE for more information on Kościuszko. 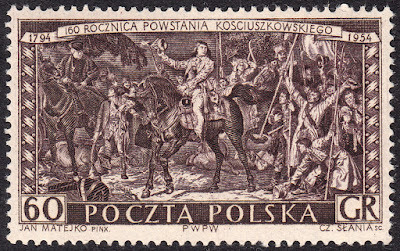 On 30 November 1954 Poland issued a set of three stamps commemorating the 160th Anniversary of the Kościuszko Uprising. One of the values, the 60 GR, was engraved by Czeslaw Slania. 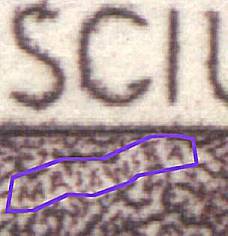 This stamp is, in my eyes, a supreme work of art. 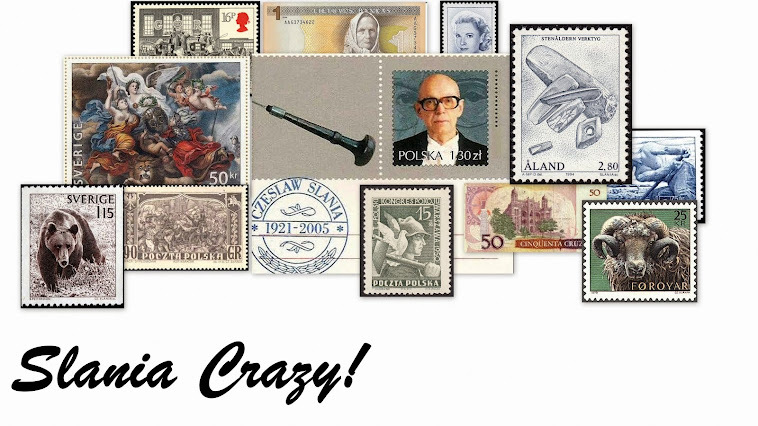 The design of this stamp is based on a painting by Jan Matejko. 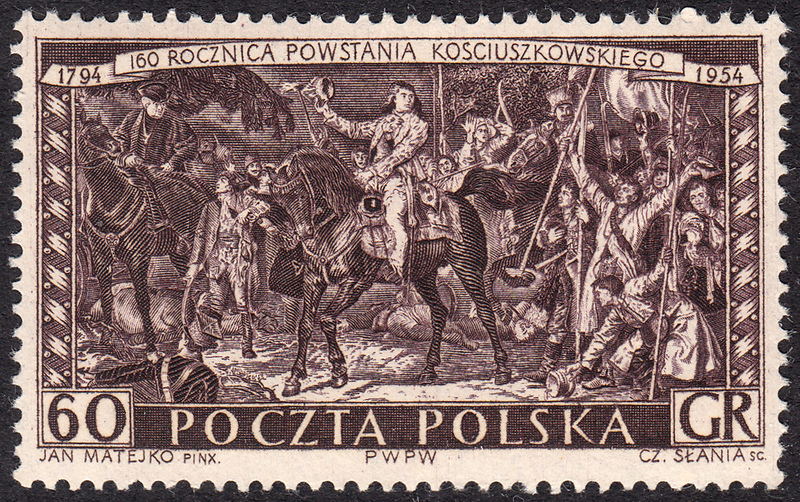 It depicts Commander-in-Chief Kościuszko riding among his insurgent army as they cheer him on. As if the general detail in this stamp were not enough, Slania has gone a step further and add a few of his 'hidden' words for which he is now famous. 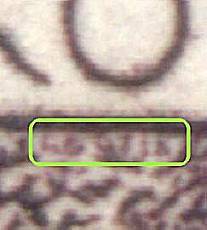 Below is a copy of the stamp with the areas in which the hidden words or 'microprints' can be found highlighted in boxes marked 1 to 3. If we zoom in on box 1 the date I.X.54 can be discerned. Box 2 reveals the name 'Majewska', which is the name of Slania's sister. Box 3 contains the name of his sister 'Lodzia', the diminutive for 'Leokadia. The zoomed images have been taken from the Heindorffhus website. rien à dire . superbe ! Nice to read another blog after month of waiting. On this stamp there is name and surname of Slania's sister Leokadia (diminutive Lodzia) Majewska. One sister not two sisters. 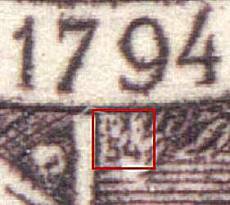 There exist some varieties of this stamp in colours olive gray, blue, brown red. Yes, life and a few other blogs that I run got in the way :). Thanks for the info. As always, I appreciate your input. I shall amend it now.